Are you in need of a 24 Hour locksmith in Boksburg? With our reliable emergency service you will not be locked out of your own office or car for long. Our technicians are available 24/7 for all your locks-related issues. Call us now on 087 551 0611 and we will be on our way. The Most Recommended 24hr locksmiths Boksburg wide! Despite our best efforts, mistakes still do occur. Things will time to time go wrong. But with our 24 hours a day, 7 days a week operation the issues can be addressed promptly and with no stress. We all can relate with the frustration one feels when locked out of their car or have lost their house key. 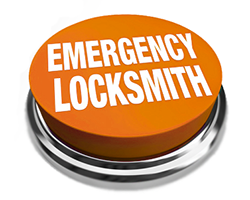 By making use of our full time emergency locksmith service, your issues will be solved promptly. Whether day or night, you can be certain our highly-competent technicians are available. Our locksmith team understands the Boksburg area completely and will get to where you are within a short time. We are well-equipped for all kinds of situations and utilize state-of-the-art technology that’ll crack even the most secured locks while reducing the damage potential. Our locksmiths are professional and friendly and have many years of experience. We understand the importance of fixing the problem promptly and with as least disturbance to your normal routine as possible. We do our very best to minimize the likelihood of breakages and the necessity for extra expenses. Why Hire Our Emergency Boksburg Locksmiths? We appreciate and value each and every one of our clients. We’ve a long list of clients that can testify to our high levels of professionalism and commitment. With well trained technicians with the ability to provide reliable assistance for a wide range of services, we are Boksburg’s leading choice for reliable and affordable repair and maintenance. We come well stocked for all situations and we will clear up as soon as we are done. Thanks to our reliable emergency service, help is always available. Let Us Know the Issue. . .